Click the show text next to the “filtering” text (as shown in the image). 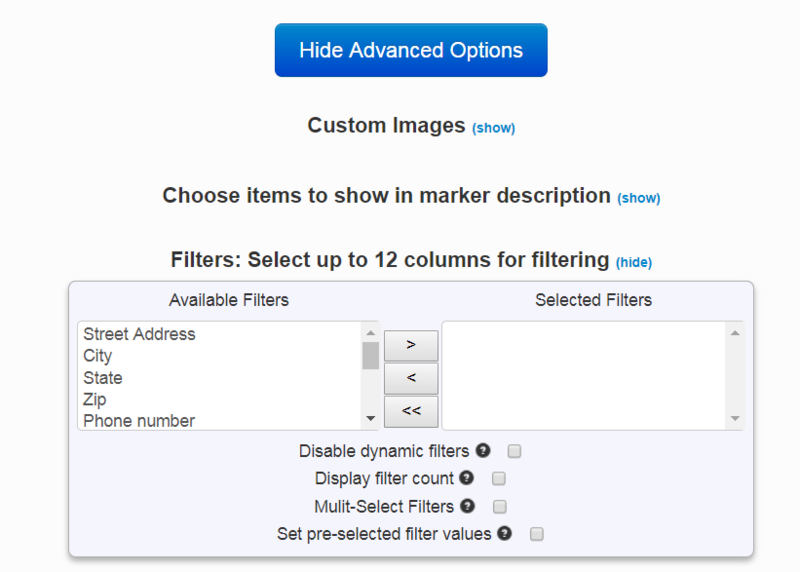 Display filter count – this displays the number of items matching each filter. An example would be: 5 bedrooms (21). In this case 21 would be the number of 5 bedroom matches. Pre-selected filter values – this will set defaults for the filters when the map loads to whatever values were set when the map was saved. The default is for all filters to be unselected.